In 2005, my father, Dennis Rader, was arrested for murder. In the weeks that followed, I learned he was the BTK serial killer who terrorized my hometown of Wichita, Kansas, for three decades. As he confessed on national television to the brutal killings of eight adults and two children, I struggled to comprehend the first twenty-six years of my life had been a lie. The man who loved and cared for me, who made sure I grew up in church, who shared a wealth of life with me from fishing to movies, from hiking to football games, was not the man I thought he was. As I continued to fight to come to terms with the truth about my dad, I wrestled with shame, guilt, anger, and hatred. I didn’t know how to accept the fact that I was a crime victim, dating back to the days my mom carried me in her womb. The faith carefully laid under my feet as a child, that I ran from and later embraced as a young adult, kept me alive after my dad’s arrest, as I clung to the remnants of the life I’d known. Sometime amid these terrible months, I realized I wasn’t just running the details I was learning of my dad’s murders in my head; I was also repeating the promises of God found in Scripture. I wasn’t just drowning in the darkness; I was also clinging to the light. The verses cut through the darkness, and I began to teach myself to not only repeat them silently in my head but to utter them out loud when I was afraid. Especially in the dark. They brought me strength — defiance. Determination. The will to continue on. In the worst moments of my life, I was turning toward my faith in God, without even realizing at first that I had. After my dad’s sentencing, the past brutal months of my life slammed down on my soul. I longed for space and time to recover: to mend my wounds, to heal. I figured if I bandaged the immense ache within me tightly enough, it would eventually heal in time. But hiding the pain away only caused it to fester. Incalculable loss, trauma, emotional abuse, depression, anxiety, and post-traumatic stress, leave scars. Struggling with forgiveness, fighting for understanding, I tried to put the ruptured pieces of my life and my family’s life back together. For the next several years I prayed to God for a quiet, peaceful life, telling few who my father was. 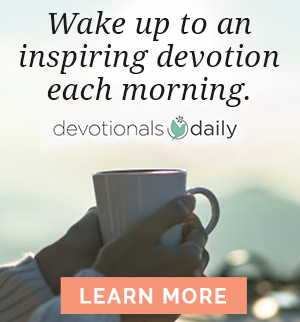 But in 2012, I was leading a small group through James: Mercy Triumphs, by Beth Moore** and I felt God nudging me through the study, asking: What good is your faith? She smiled knowingly and gave a nod. A month later, my leaders asked who would stand up and give their testimony. 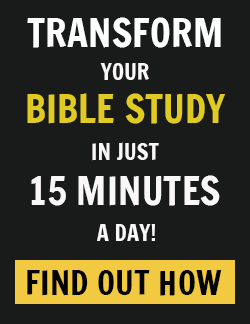 I felt God’s nudging: You could testify. No, no. My head internally shook side to side as my heart sped up. God’s nudging grew louder. It’s time. My heart was now about to come out of my chest, but I knew — there was no point in arguing with Him. His knocking would get louder till I gave in. A few weeks later, I nervously sat across from my mentor at a coffeehouse. I quietly uttered, “My dad is a serial killer” and scrunched up my face, waiting for it. What met me was grace upon grace. My voice grew stronger under her gentle prompting and I poured it all out — why I thought I had something to testify to. Yes, dear girl, you do. A few months later, I stood up in front of a room full at my church and shared my story. I told them: We live on a battlefield, in a fallen world, where bad things can happen to good people. My dad made terrible choices with lifelong generational impacting consequences, he cost ten their lives. Where was God then? But maybe I am letting evil win if I stay curled up in my hole, shut down in my ball of fear, hiding under my self-created armor of humor and sarcasm, walking around like nothing fazes me when sometimes it truly feels like I’m dying inside. We live in a fallen world but we don’t have to live like fallen people. Whatever you’re going through, you can get through. A few months after sharing my story for the first time, I realized I’d been holding on too tightly to the bandages I wrapped around my wounds years ago, wearing my armor to protect my heart from getting hurt again. I wasn’t just holding out on my dad and myself, I was holding out on God. I was rotting within, so I forgave my dad. After I forgave my father, the rot was removed, the hardness lifted, and I came back to myself — the old me I thought was long lost, gone forever. God saw me minute by minute, hour by hour, day by day, through all that followed. One foot in front of the other, I continued forward after forgiveness. I began to unwrap the bandages, letting light and air in so my wounds could truly heal, rather than just be protected. Two years after forgiving my dad, I gave my first interview. I began to share the story of my life, who my father was to me, and who God is to all of us. In the summer that followed, I shared my story with thousands at my church. There have been massive struggles since forgiving my dad too. Return trips to therapy, suppressed trauma finally finding the light, almost nightly battles with night terrors, and PTSD that can still rear its ugly head. Anxiety can still seize me, and depression can still send me to the bottom of despair. But God has walked by my side through all of it — seeing me through, just as He did from the very beginning. 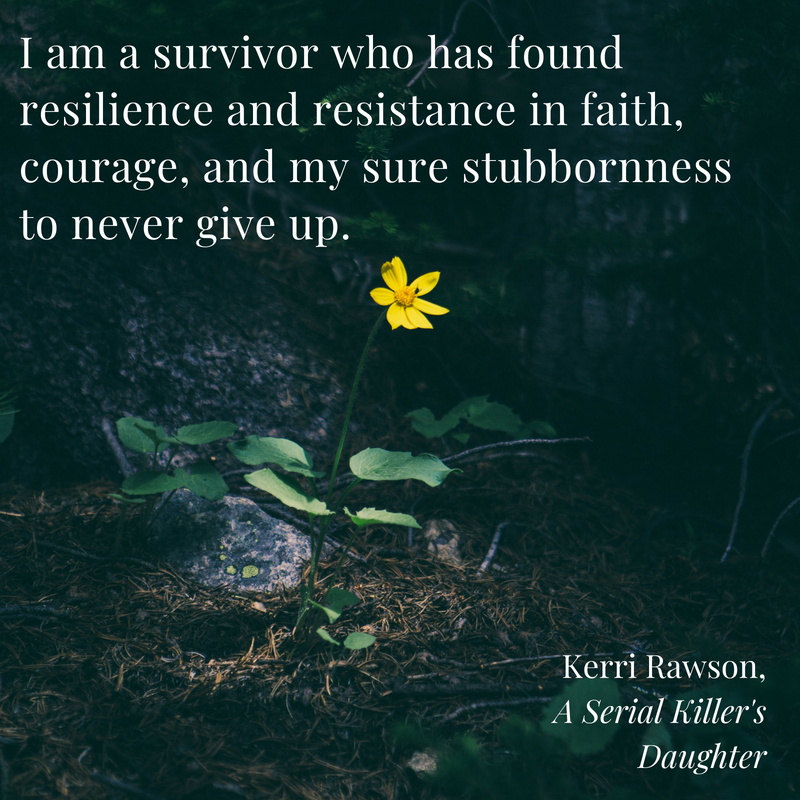 Written for Devotionals Daily by Kerri Rawson, author of A Serial Killer’s Daughter: My Story of Faith, Love, and Overcoming, copyright Nelson Books.